The navy blue Arena women’s Spider has an all over web inspired pattern. It’s red trimmed booster style back is very feminine and eye catching! It is manufactured from Max Life material for long lasting performance and comfort. It is chlorine and abrasion resistant and the 46% PBT / 54% polyester guarantees a suit which is soft to the tough and provides a perfect fit. 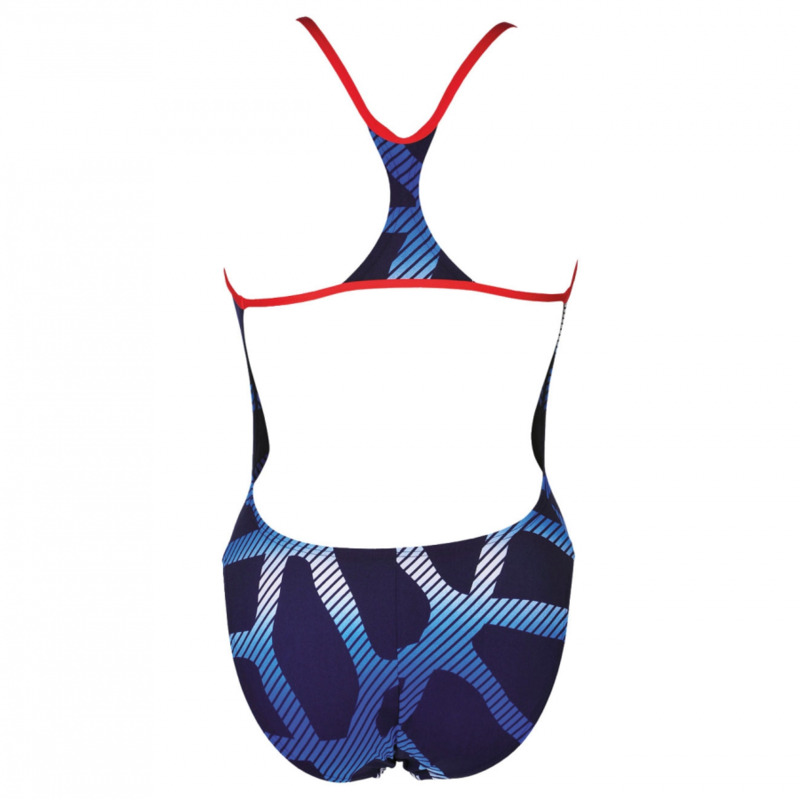 The Spider swimming costume is perfect for regular training and the excellent UV protection it provides make it an ideal choice for holidays and sunny swim camps!